Cappadocia, which means ‘the land of beautiful horses’-is located in the central Anatolian region of Turkey. With a unique geographical landscape of honeycomb mountains to ethereal gigantic rock formations, this beautiful countryside is evenly matched with its ancient historical roots. Home to captivating cavern architecture, Cappadocia is famous around the world for its underground cities, cave churches, and hot air balloon rides. Whether you were enticed to this city for its mountaineering possibilities, its amazing history or the bragging privileges of becoming a contemporary cave dweller for a night, it’s the moonlike vistas that are unforgettable. This province’s accordion-grooved valleys, dappled in vibrant shades of shadowy auburn and cream, are an epiphany of a countryside – the stuff of mind-blowing fantasies. 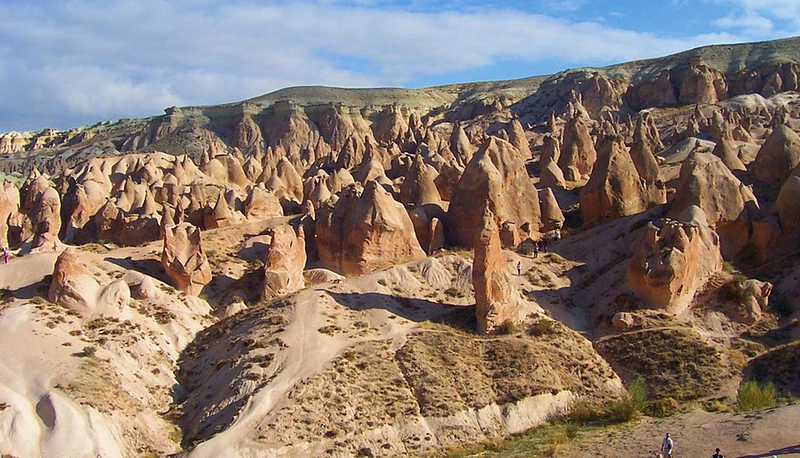 Here is the list of places you must see as you plan your Cappadocia holiday with Kesari Tours. The Underground Cities: Kaymakli is the traditional human habitat dating back to the fourth century BC. 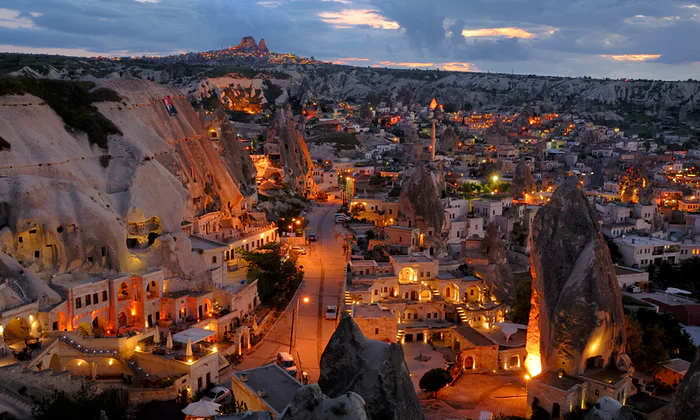 These are about 36 cities beneath the Cappadocia’s rock formations that can house approximately 10,000 people in each one of them. They were built to save the inhabitants from the harsh winter and scorching summer. 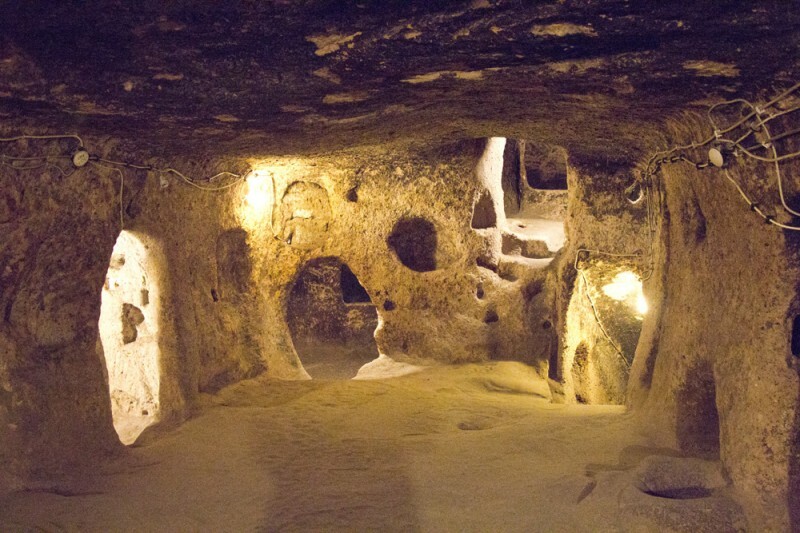 These underground cities served as an escape to the Christians from the Roman soldiers. There is a total of eight floors underneath, of which only four are open for tourists to explore. It is an architectural and engineering marvel that you just can’t miss. Goreme Open Air Museum: Declared a UNESCO World Heritage Site, Goreme Open Air Museum was one of the most prominent Byzantine monastic settlements in the 17th century. This museum displays the finest of rock-cut churches. 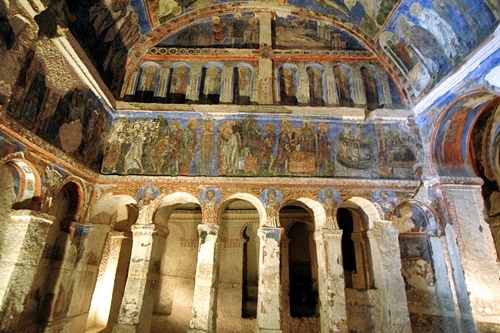 The frescos and murals on the walls dating 900-1200 AD still retain their charm and a must see on your list in Cappadocia. Devrent Valley: Popularly known as the valley of imagination, the place was never inhabited. So what makes it a must see today. Well, it’s the lunar landscape that this region is famous for the world over. The rocks and pillars look like figurines of camels, seals, penguins, and snake. Experience the Cave Hotels: If you have heard or read anywhere how the locals of Cappadocia lived in caves for thousands of years. The cave hotels in this city can give you a peek into troglodyte lifestyle with all the modern amenities. 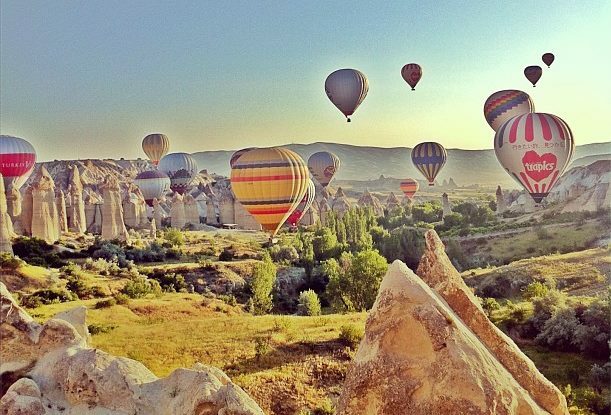 Hot air balloon: Known as one of the best cities in the world to fly with hot air balloons, Cappadocia, offers you an unbelievably spectacular vista with exceptional flying conditions that let you drift over gently. A view peppered with pixie funnels, pigeon homes cleaved into exceptional rock creations, plantations, and wineries nestled among striking valleys, while you float up undulated gorges for a breathtaking view of the country. 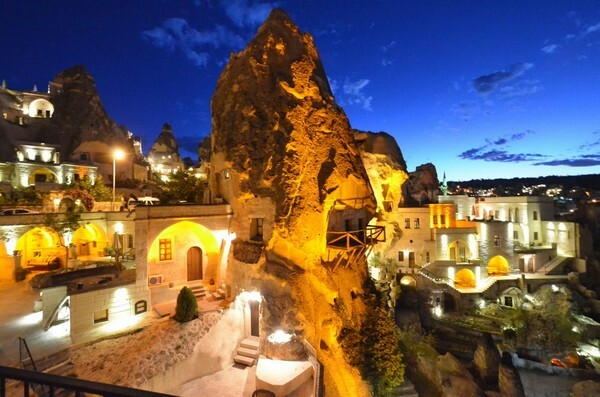 Turkey the land with a course of history, magic, heroes, owns Cappadocia as the diamond in a ring. Go, get there and cherish your Cappadocian sojourn with Kesari Tours by your side.